Brought to you by the same people behind Central Park Nightclub, Halo is its more sophisticated upmarket sister. The crowd is here is slightly older than CP with the age range starting in the 23+ bracket and smart dress is essential. The Club is stunningly beautiful with 4 bars on 2 floors. 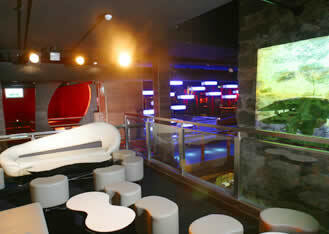 There are also 2 dancefloors and the club is designed with luxurious comfort in mind with quieter seating areas. Once you enter from Abbeygate Street you will come to the outer courtyard which is beautifully lit and provides a unique backdrop to this venue. Open Friday and Saturday nights the queues build early so getting there before 12 is advised. If dressing elegantly and partying in style is your gig then Halo is the place to go.